I don’t want to leave you ever..
You come too, leaving everyone else. Agent Smith: Why, Mr. Anderson? Why do you continue to live here? Why put up with bad infrastructure? Why be cheated left right and center by everyone in this country of thieves? Is it memories and attachments? Love, perhaps? Patriotism? Only a human mind could come up with something as insipid as patriotism! You must be able to see. They don’t want you here. Then why do you continue? Neo : Because I have no choice. The firms, in general, that are making money are the ones that hire humans to make computers capable of decision making. The ones that are in trouble are the ones that have computers enable a human to wheel and deal on the phone. I know about Knight Capital but this seems to be the general trend in the markets. Currently reading: Dark Pools by Scott Patterson. when you file your taxes and realize you sponsored a part of a babu’s Europe trip to beat Delhi’s summer, while you suffered mid-summer, mid-day power cuts. 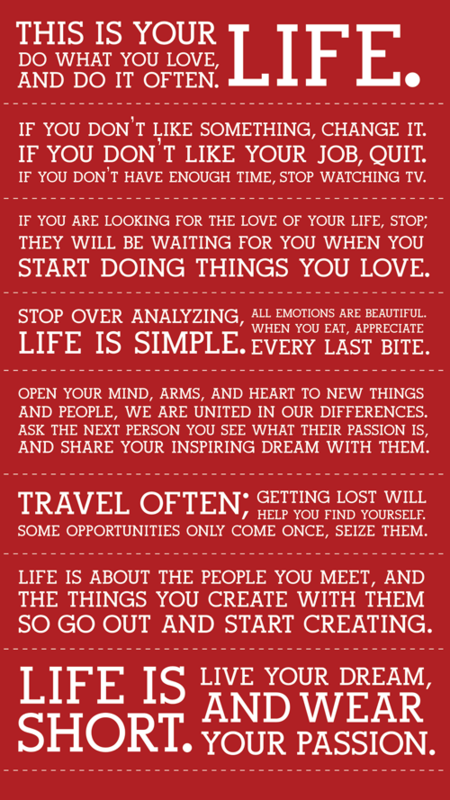 Really nice manifesto. I don’t agree with all of what it says. ‘If you are looking for love, stop; they will be waiting for you when you start doing the things you love’. The blog has had an unwanted hiatus. Between the last post and this one, I have started working full-time and have got married. Neither one is the real reason for the hiatus…it is more because of lack of enthu to write. Have had a couple of topics in the back of my mind to write about. Maybe I will get down to writing about them. Hope to get back to writing again. Had been to Singapore last week, roaming the city under the pretext of attending a conference (which I did attend). It is a beautiful city and I will write more about it in later. This experience was when I took the taxi from my hotel to go to the airport to catch my flight back. The public transport system in Singapore rocks! and the taxis have electronic meters which make it impossible to overcharge (which anyway no one seems to do). The taxi driver was in a talkative mood and told me that he was in the Merchant Navy and had been to Mumbai quite a few times about 10 years ago. Then, before I (a proud Mumbaikar) could talk more about the city I love and call home, he told me how taxi drivers in the city had grossly overcharged him. Apparently, he had gone into CST to take a look at the trains and was caught by a TC in hiding. Instead of fining him for entering ticketless, the man made him pay a bribe. I had nothing to say to that and could just apologize for the behaviour of my countrymen and tried to assure him that not everyone here is so insincere. I wonder why we do this- and bring the name of our country into shame. India, apparently, has a lot of people who are good at English. Anyone who has seen recent use of English in general would do well to take exception to this. So many times these days I see an apostrophe used in the wrong place. For those who have forgotten their grammar, an apostrophe is used to signify belonging and in some cases (preferably avoided) a shortening of two words into one. There are so many signboards, across India (I have seen them in Mumbai, Bangalore, Ahmedabad and Delhi), where the apostrophe is used in a plural. “Coconut’s” means belonging to the coconut (make sure spelling is right; a board in Ahmedabad got it horribly wrong) and not a number of them. Most of these people are convent-educated, graduates. Even aspirants of MS programmes in the US have been known to make such errors, as well as MBAs (and not MBA’s) from some of India’s (note correct usage) premier institutes. I hope the situation improves, for everytime I see such errors I feel it is an apostrophe apocalypse. Anyone publishing anything in the newspaper (including reporters-some are incapable of stringing an entire sentence in English) or making a board should please be careful. P.S: Let me know what you think of this article. Also, anyone pointing errors in this article will be duly mentioned alongside the correction.